It’s no secret that lots of retired people make big contributions to their communities by volunteering across a wide range of organisations. This unpaid work is worth billions to the Australian economy. Today I’d like to tell you a story about the other side of volunteering – what it does for the volunteers themselves. 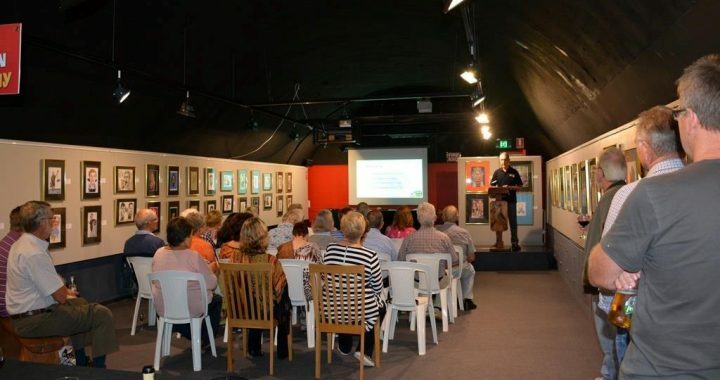 I’m on the management committee of the National Cartoon Gallery, which is situated in a WW11 bunker in Coffs Harbour. It’s home to the largest collection of original cartoons in Australia and it operates with a paid manager and her assistant plus 30 volunteers. These volunteers handle the day to day running of the gallery, which includes meeting and greeting visitors, handling shop sales and hanging new exhibitions. The point of this story is that volunteering at this community gallery has created lots of friendships amongst people who didn’t know each other before and who come from a wide range of backgrounds. It’s also given many of them an interest and a sense of belonging to a team which is doing interesting work, which benefits the local community and the Tourist Industry. Recently one team member had a birthday party which most of the other volunteers attended. This was not particularly unusual as many of them now see each other at various social functions. Being a volunteer has enabled these people to expand their network of friends and learn a range of new skills. This cartoon gallery experience is not unusual and it’s just another example of the value of volunteering to both the community and the individual people who make the effort to become volunteers. As we age and leave our career network behind it’s easy to slowly become more and more isolated. Friends and relatives die, move away or into aged care facilities and we often can’t be bothered going out. Isolation can lead to loneliness which in turn can lead to depression. Not a good trend to be part of! There’s overwhelming medical research which shows that social interaction and participating in activities which are interesting and enjoyable, are very important for our physical and mental wellbeing. Volunteering is an easy and inexpensive way to enjoy all these benefits. Your local Council would probably have a list of organisations in your area which are looking for volunteers.